The City of Edmonton wants public feedback before council considers zoning changes that would allow digital signs to play advertisements atop the Stantec Tower. 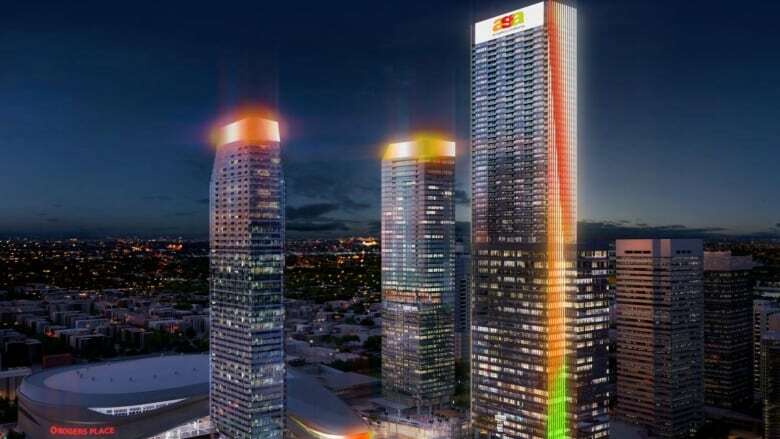 Stantec and the Ice District have submitted a proposal asking the city to allow three-storey signs on the east and west sides of the 69-storey tower. The signs would be 230 metres above downtown streets. Under the city's current rules, signs typically can't be more than eight metres high. Zoning regulations for the Downtown Arena Entertainment District would have to be changed to allow for the signs on the newly built tower. 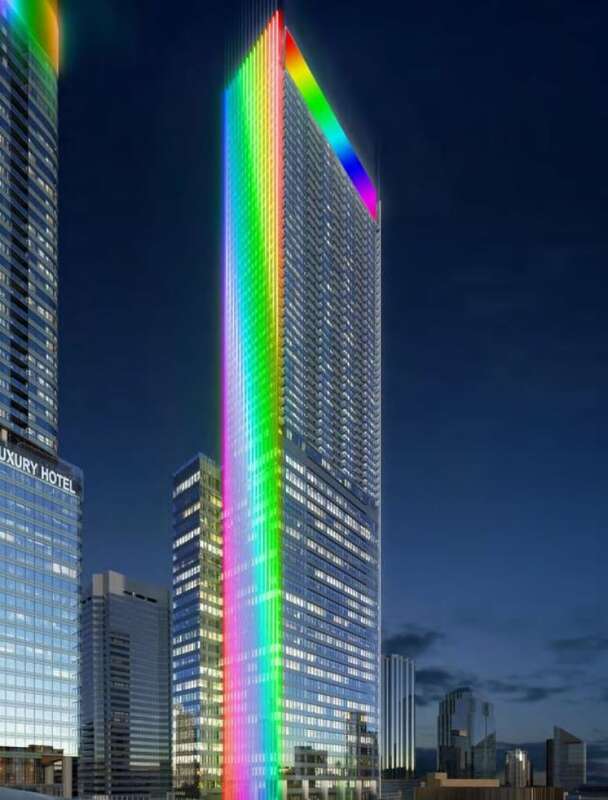 "The proposed lighting/signage will help to create excitement in an entertainment district, with capabilities to animate the site and buildings for special events such as Canada Day, PRIDE, New Years Eve; to celebrate our local sports teams, such as the Oilers; or to help provide colour, lighting and ambiance fitting for ICE District, especially in our long dark winters," the proposal said. On Twitter, some writers were opposed to the idea of using the signs to show advertisements. We need to be mindful of dark sky objectives. A giant digital sign esp with advertising does not seem like a good idea. Sounds a lot like <a href="https://twitter.com/hashtag/lightpollution?src=hash&amp;ref_src=twsrc%5Etfw">#lightpollution</a>. But I do support architectural lighting done well. In winter it is pretty much dark or darkish all day. Lighting our buildings and allowing smartly designed digital signage could be a nice feature. Perhaps not being able to sell advertising but rather simply advertising events and activities in the core or ice district? "Signage and digital signage in general has that polarizing effect," said Travis Pawlyk, a senior planner with the City of Edmonton. "I think when you put it on top of the tallest tower in Edmonton, that's going to have a pretty big impact on the image of the city. Whether that's positive or negative, we'll find out through the engagement and council's ultimate decision." The proposed changes and new technology could lead to the city revisiting its rules for digital signs in general, Pawlyk said. "The last time this occurred, the technology of LED signage wasn't exactly present," he said. "There needs to be a re-look at how those could be incorporated into the cityscapes." Members of the public who want to provide feedback are invited to a drop-in session on Thursday from 5 p.m. to 7 p.m. in the tower's lobby at 10220 103rd Ave.
Council will eventually have to decide whether to make the zoning change to allow the signs. A public hearing date has not yet been set.